You are talking about a very small slice of a very specialized pie. Take a look around and ask yourself how many shows or documentaries that are on TV are about the underwater world? Not Many. And with the fragmentation of the media into broadcast, online, cable, etc. the budgets get smaller while the quality demands grow. Not to mention camera technology is now changing as fast as computers and gear becomes obsolete almost as soon as you buy it. 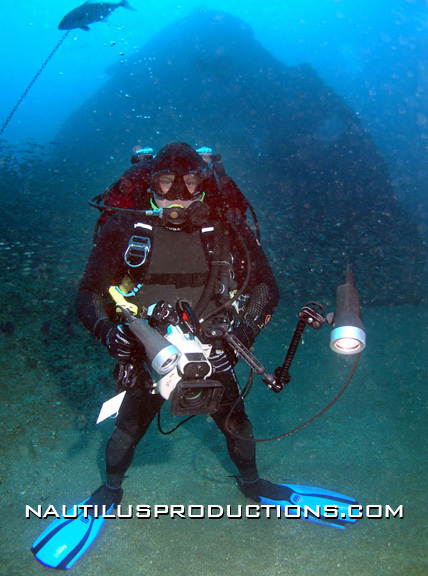 On these underwater shows or docs how much of the show is actually underwater? At best less than 50% of the program takes place below the surface. The rest of the story is shot above the water. Because most “underwater” shows aren’t actually underwater you need camera, lighting, audio, producing, writing and editing skills. You need to have a proficiency in at least a couple of the above skills and an understanding of all of them. 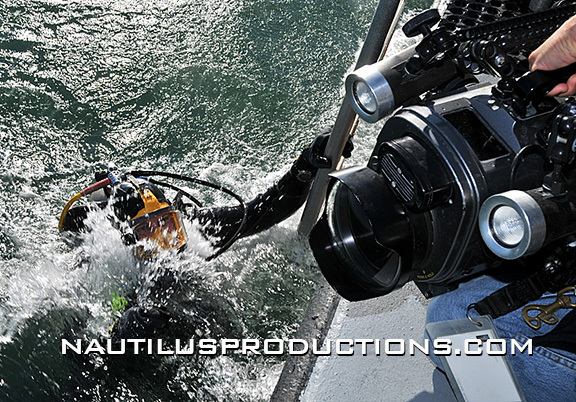 You must be an awesome/experienced diver and shooter. The underwater world is unforgiving and if you don’t know how to stay alive at depth AND make great pictures then you won’t do either well. Diving skills are earned with time not bought in a class. You should get a broad based education. You will be dealing with educated people and the more you know about the world the better off you will be. Too many film school grads have insular educations. You also need to know something about business because in the end bean counters make the decision about whether to fund you and your project. Great ideas are a dime a dozen – selling them is the real skill. In my best years only about 20% of my income has come from underwater work. 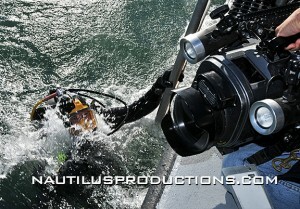 The rest of my work involves shooting footage for terrestrial clients. Get paid for what you do, write a contract and protect your copyright. If you give your work away that’s what it’s worth – nothing. Finally, build yourself a solid skill base. There are lots of ways to get to your goal. Most of them are probably ok but there aren’t any shortcuts. You should be shooting and editing video and collaborating with others as much as possible. Most importantly, you should most definitely get a job or internship with a production company that produces natural history programming. Find your niche and own it. Most importantly treat everyone you meet with respect. It’s a small world and you will meet them again someday.